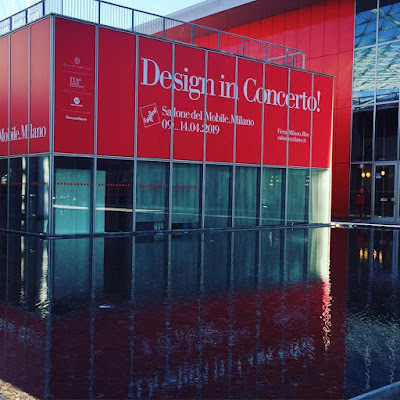 Day Three at Salone del Mobile 2019 has been packed with ideas and inspiration and we are right here, at the confluence of culture, creativity and innovation in the world of design. There has been so much to explore and experience that we are overwhelmed! Here are a few breathtaking innovations that we came across and cannot be more amazed with. Innovations that are turning convention on its head. We see design in transition. 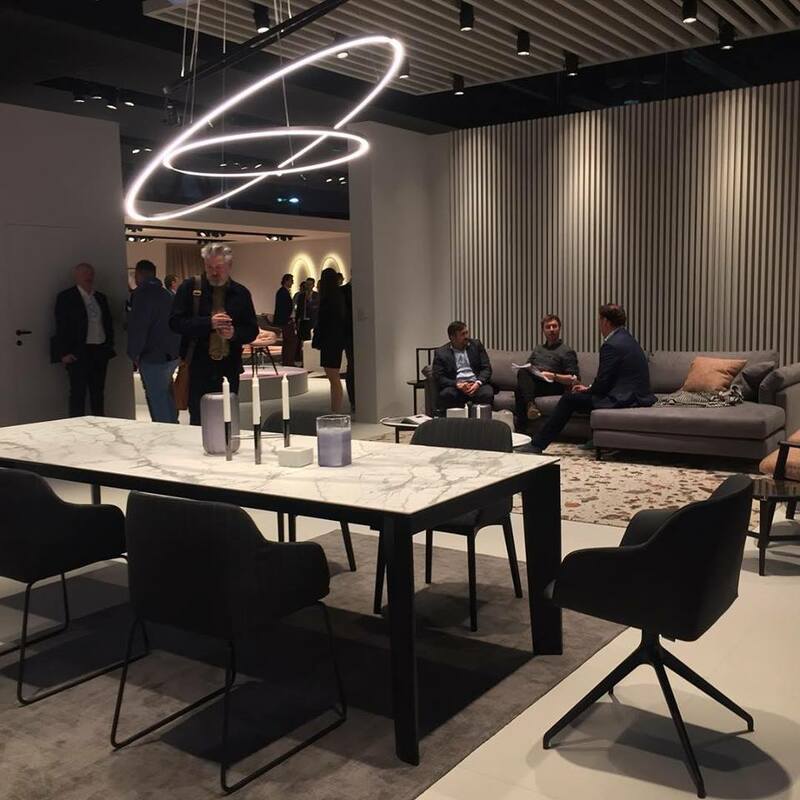 From furniture to lighting to all things interiors. Here on this wallpaper, Art Deco finds modernity in firm lines. Classicism gets more refined, and Art Deco slowly gets squeezed by purists of the contemporary movement. 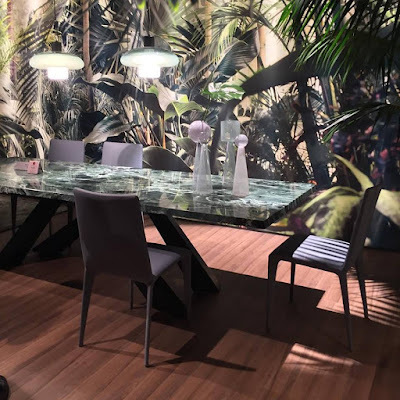 Evolution at Milan Design Week. New forms and materials peak curiosity. Glass makes a design statement with eccentric pieces in bold, vibrant colours. Colours, graphics and materials unite to create a stir. Four textures emerge. Designers are pushing themselves to combine, in order to create new paradigms. 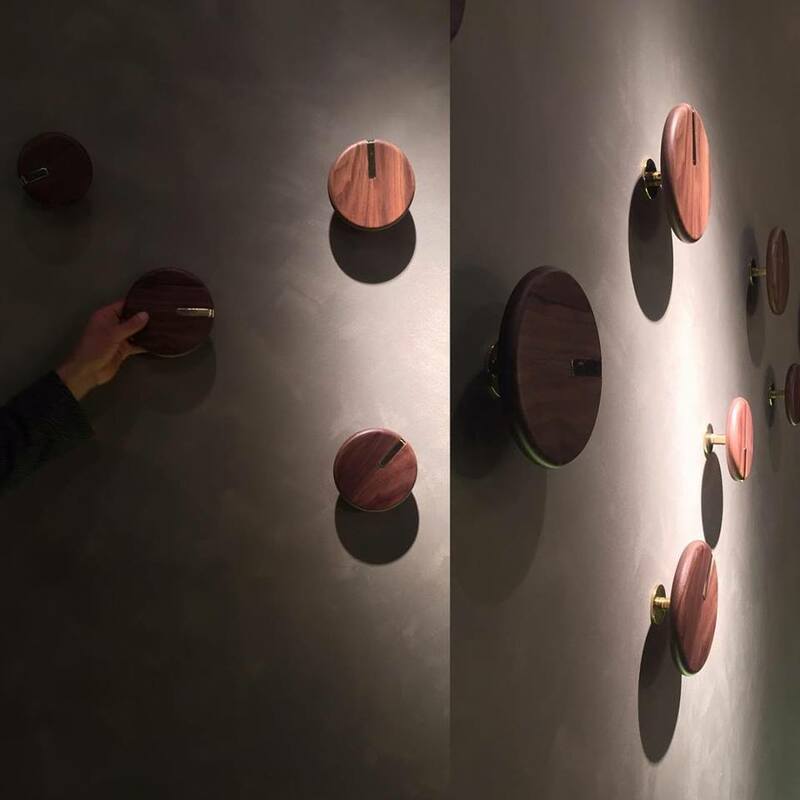 Tonin Casa presents wall hangers for a contemporary setting. Simple and effective design that can serve just about any purpose. 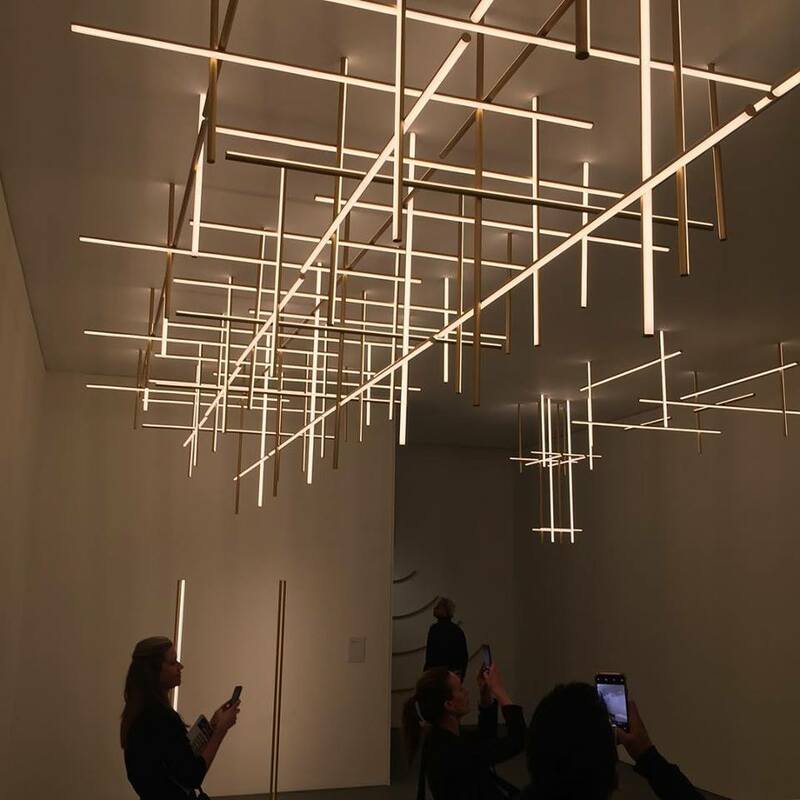 Flos presents original lighting designs by Michael Anastassiades that are as much fun as unconventional. The flexible design lets the individual lighting pieces be arranged in endless number of combinations. Design that thrills and can be played around with. Blumarine meets Calligaris to make fashionable homeware. 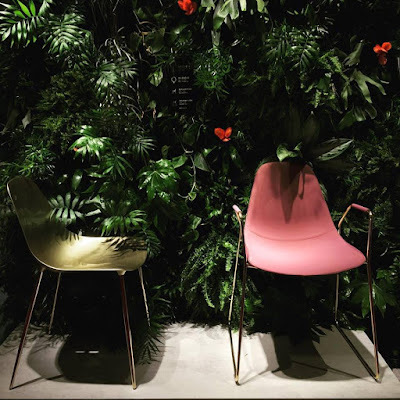 Beautiful rose print decks up the Calligaris Coco velvet lounge chair to create a statement of elegance. Molteni&C unveils their latest collection. Elena Viganò, Head of Architecture Team at the Group, takes us on a tour inside the Molteni booth to familiarize us with their new wonders. 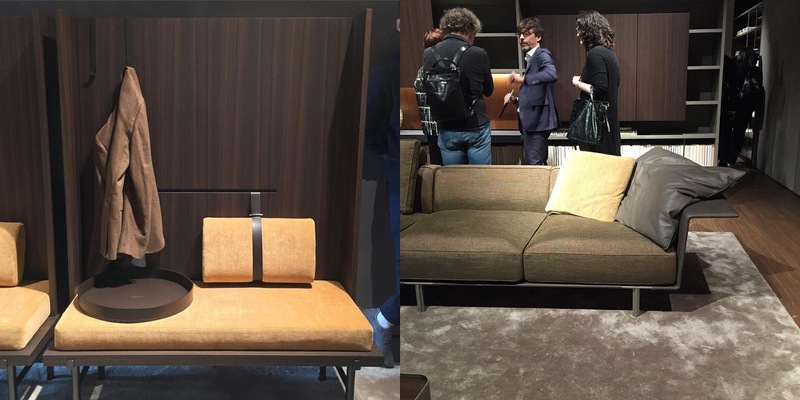 Natuzzi turns 60 and celebrates design by revisiting its roots. The brand unveils its latest collection, Dandy, inspired by Puglia, the homeland of Pasquale Natuzzi, where it all began. The collection advocates a new concept of living and its character mirrors a modern lifestyle that cherishes travelling and urban living. Brands are becoming more conscious of the resources they utilize, the space their products occupy. They are creating multitasking furniture for a smarter way of living. Aesthetics and comfort blend. Smaller spaces go for an exciting spin. 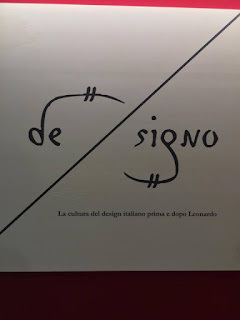 An exceptional installation, ‘’DE-SIGNO’’, celebrates the genius of Leonardo da Vinci by showcasing the experience of Italian design and craftsmanship, from the time of the great master to the present day. Watch this space as we cover more updates in our next post. Follow us on Instagram and use the hashtag #DesignSoGood to get the latest and the hottest design trends right on your phone. 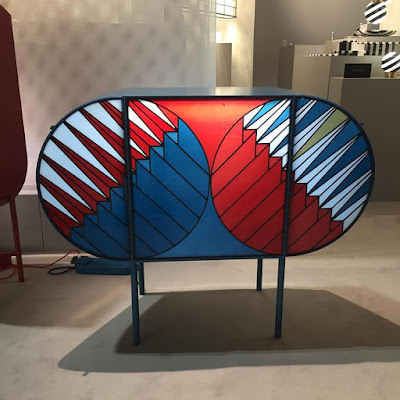 LIVE now from Milan Design Week 2019. Day Two at Milan Design Week has been bigger and better and our excitement is palpable. We have been walking around, exploring different brands, art installations, and exhibitions. Here are some of the major trends we see emerging! Material strives to reconnect you with the past in new forms. Metal pipes become a design driver for the year. 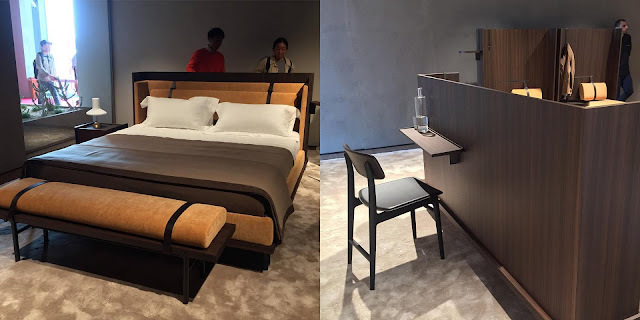 Molteni&C unveils new designs by Vincent Van Duysen. Leather and metal pair up to bedeck fabric upholstery. 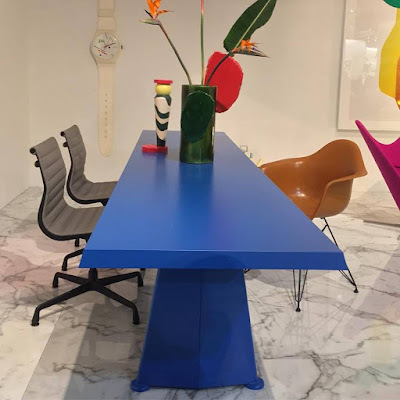 Foster+Partners reveals a table extraordinaire for Molteni&C. 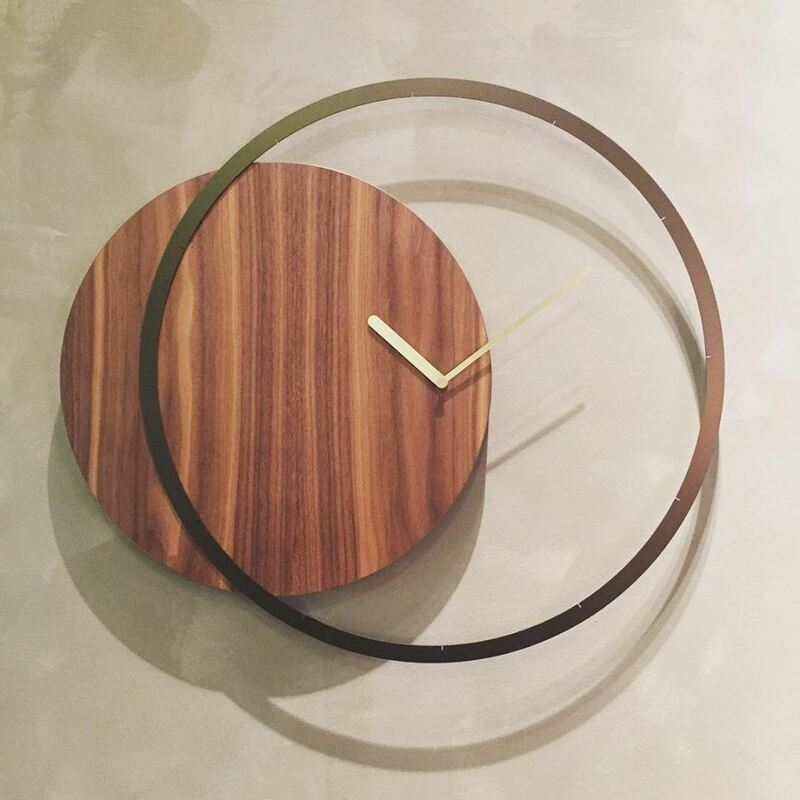 Leather and wood come together to give form to rare marvels in design innovation. 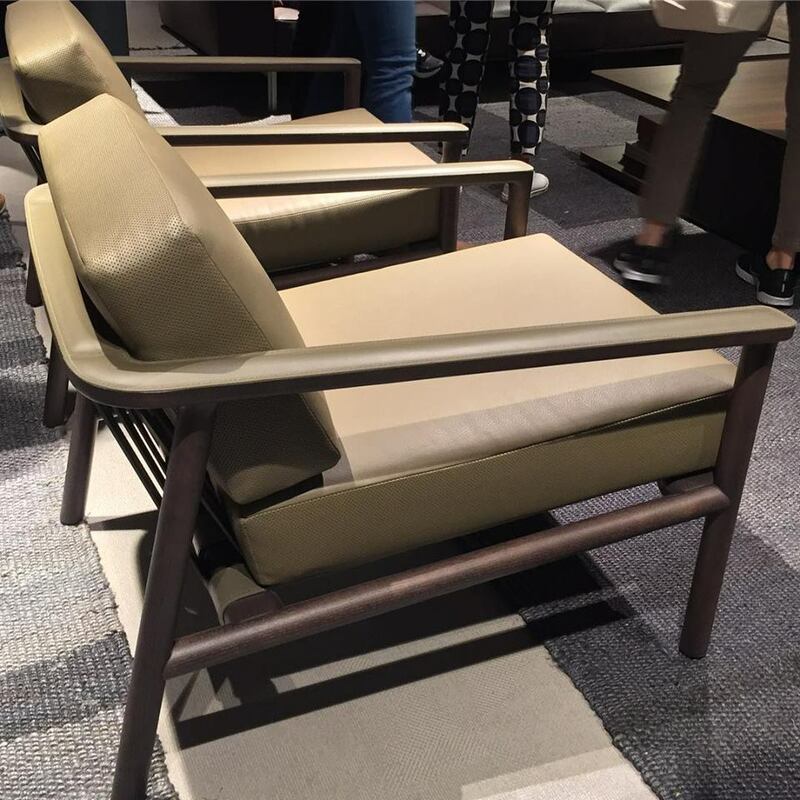 This chair from Molteni&C is made from a single piece of an olive tree with its leather armrest curiously stitched into the wood. 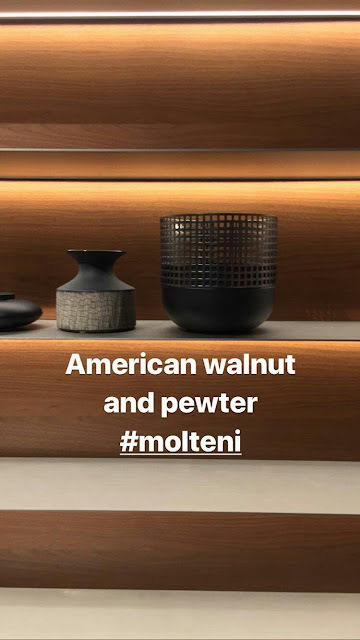 American walnut and pewter pair up to take interior decor to an all new level of sophistication. Glass and leather make a pair hard to skip. Bedrooms in muted tones and pastel hues with leather headboards and pastel rugs contrast well with glass table and accessories that accentuate the overall look. 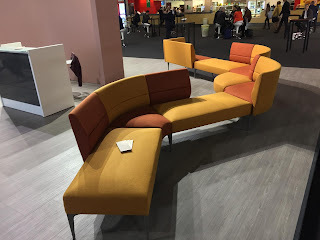 Koinor reveals some unprecedented sofa designs, reinstating our belief that innovation in sofa functionality never stops. Hot pink and metal are beginning to surface as the most sought after colours of the year. Their presence is hard to miss on chairs, sofas, beds, and other furniture. Pastels and warm grey are the way to go for bedrooms. The materials palette glams up as pastel meets gold and marble. 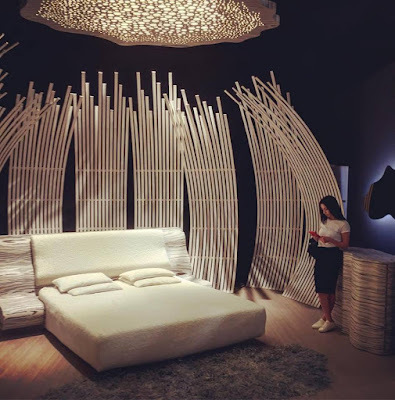 Natuzzi flaunts the Ross Lovegrove bedroom. And unveils its new collection Ergo by the award-winning designer who believes in organic design- inspired by nature. Ergo is all about fluid and essential design that touches your soul. 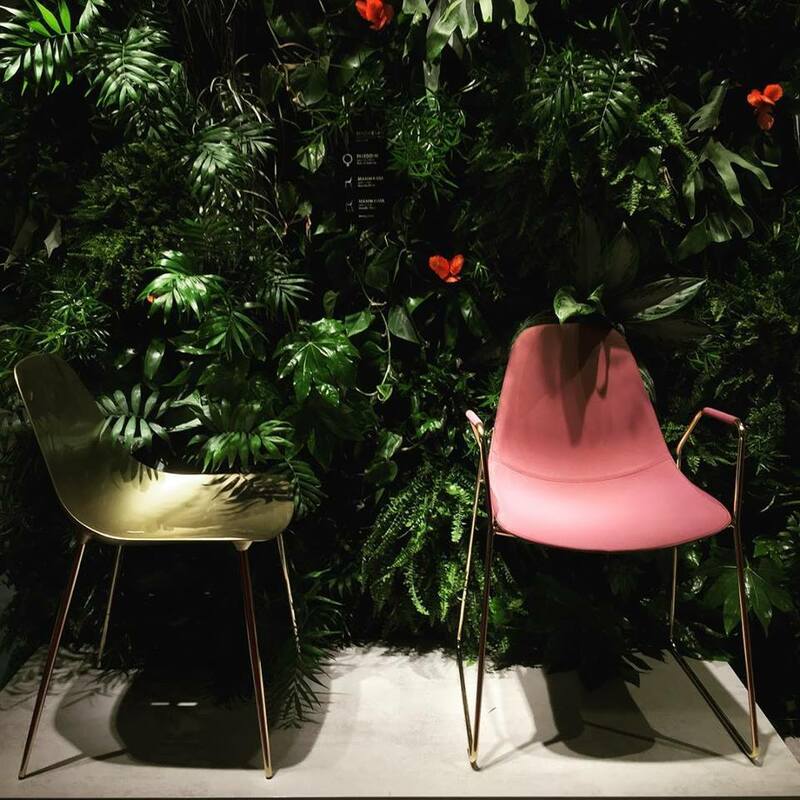 The collection uses renewable and recyclable materials to give the necessary push to sustainable design. Milan Design Week brings ideas of light and furniture together. The new Pininfarina design makes you roll up your sleeves, sit back, and gaze. Murano unfurls a one-of-a-kind glass installation. Walls adorned with lights and more lights become a statement of self expression like no other. All along the way, reminding us that we all could use more bling in our lives! 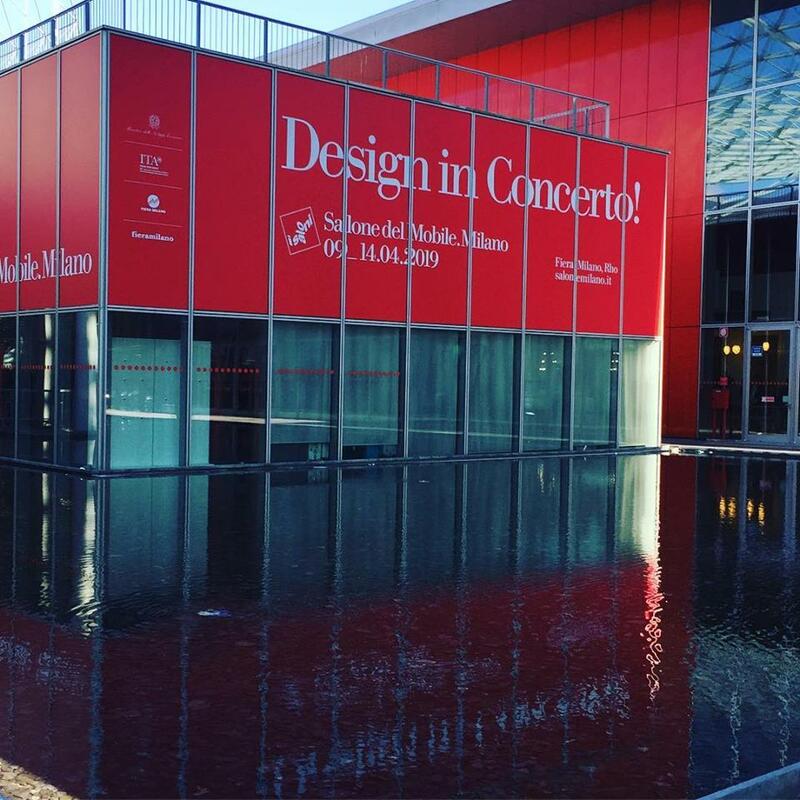 The 58th edition of the Milan Design Week kicked off this week in the design capital of the world and we are there to witness the ‘Design In Concerto’. We can see the city’s centrality and creative capacity reflected in all things design. This year’s focus is on ‘ingenuity’ of design. 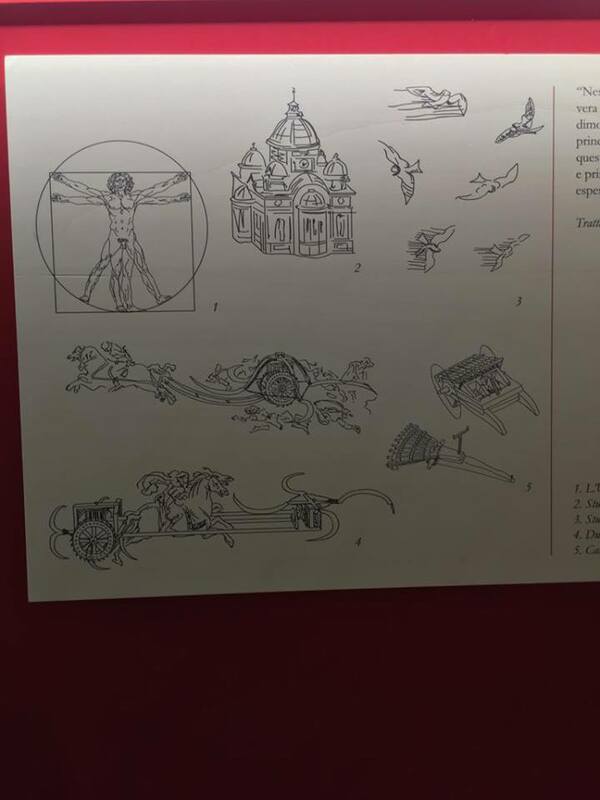 Designs that are aesthetic as well as capable of being put to imminent use. Designs that are game changers. 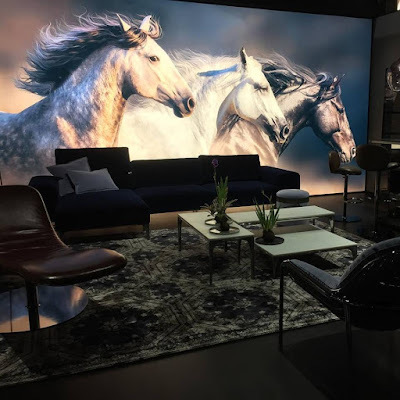 The Rho fairgrounds wear a colourful and exciting look, flooded with new materials, the latest interior design innovations, sustainable design, pathbreaking furniture design, workspace advances, and lighting breakthroughs. This year promises a riot of colour with brighter interiors and bolder prints. This year promises designs for a changing world. 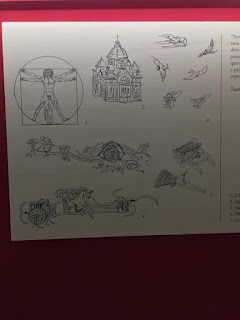 We have been touring the grounds all day long and here are some of the designs, art installations, and exhibitions that caught our eye. Sofas sport richer and more evocative prints. Blush tones and gold accents come back as trending colours in vogue. Pastels get a warm welcome back as favoured colours across fabrics and furniture upholstery. 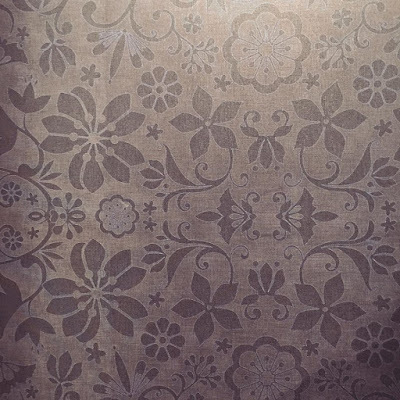 Gilded accents complement fabrics to set new exhilarating material trends. 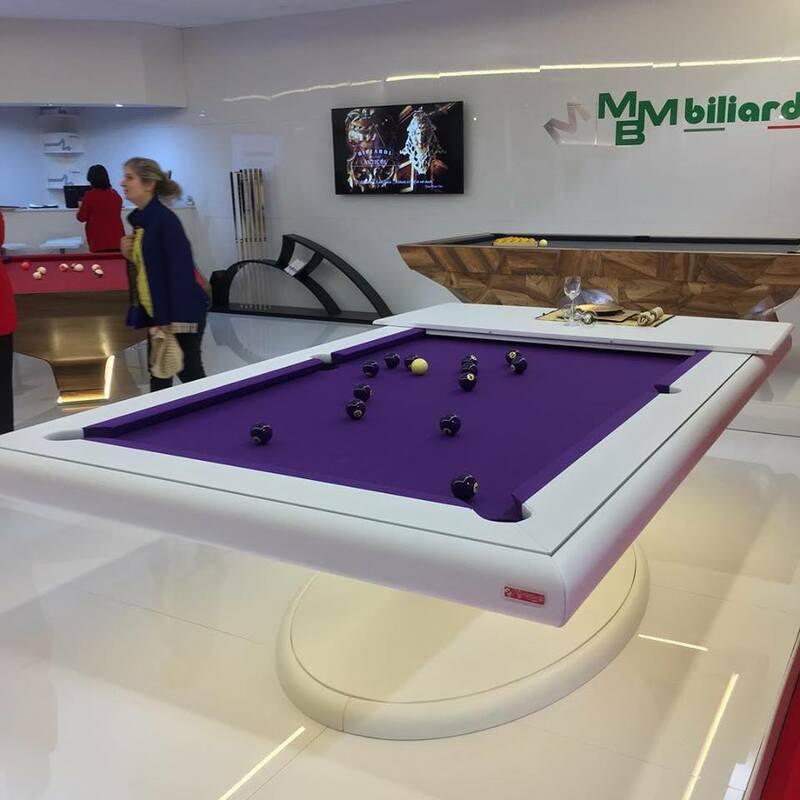 The regular snooker table gets a makeover with the new felt colour adorning the tabletop that now comes with a foldable cover. New materials find their way to the fore of the design world as Calacatta marble prominently decks up many tabletops. Tabletops also find quite a fascinating expression in marbled ceramics. Stone is yet another favourite with tabletops and an extra large dimension heralds a new scale of dining statement. Wood and metal see a resurgence across furniture and wall accessories such as clocks. 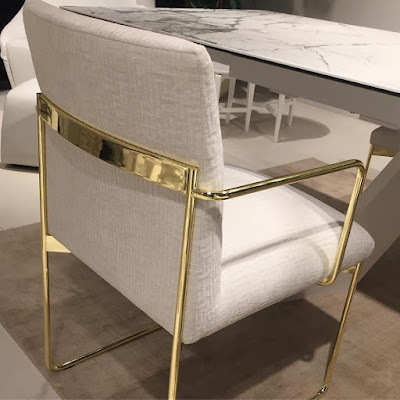 Leather, wood, and metal come together to offer a rare elegance to the dining with an ‘Art Deco Minimalism’. 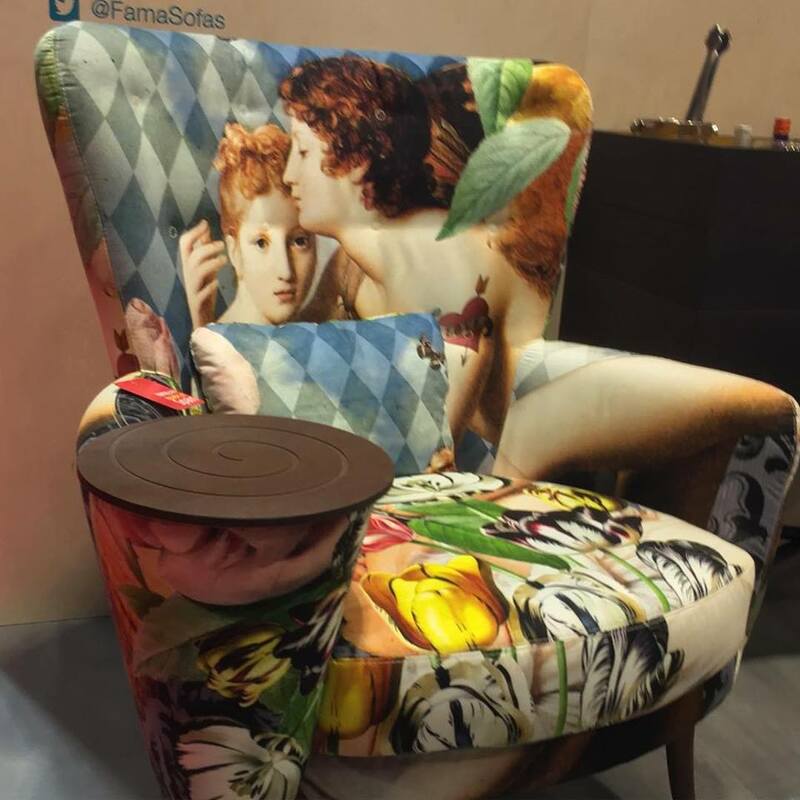 Velveteen upholstery replaces traditional leather-bound furniture across many brands. 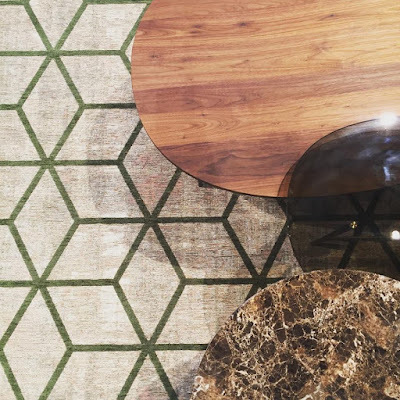 This year, brands also make a noteworthy push towards sustainable design. There has been a conscious usage of sugarcane and other organic materials in the making of furniture, that is quite pronounced across a number of designs. Watch out for this space as we cover more updates in our next post. Follow us on Instagram and use the hashtag #DesignSoGood to get the latest and the hottest design trends right on your phone. 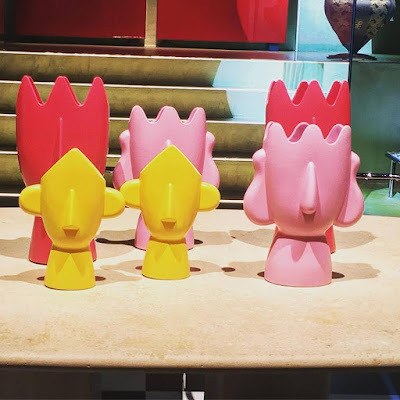 The most awaited event in the world of design and architecture is just around the corner - Milan Design Week 2019 also known as the Salone del Mobile 2019. This gargantuan fair showcases the latest collection from renowned brands, innovative products in home, office, outdoor, commercial spaces, young designs, latest materials and trending colours. This year the fair is scheduled from April 9th to 14th marking the 58th Edition of the popular and powerful contemporary design showcase that has always mixed business with culture, shaping the history of design and furnishing yesterday, today, and tomorrow. This time our special LIVE coverage will focus on - the latest interior design innovations, new materials in trend, design that is sustainable, furniture that is part science, part art, workspace advances, lighting breakthroughs and a whole lot more. 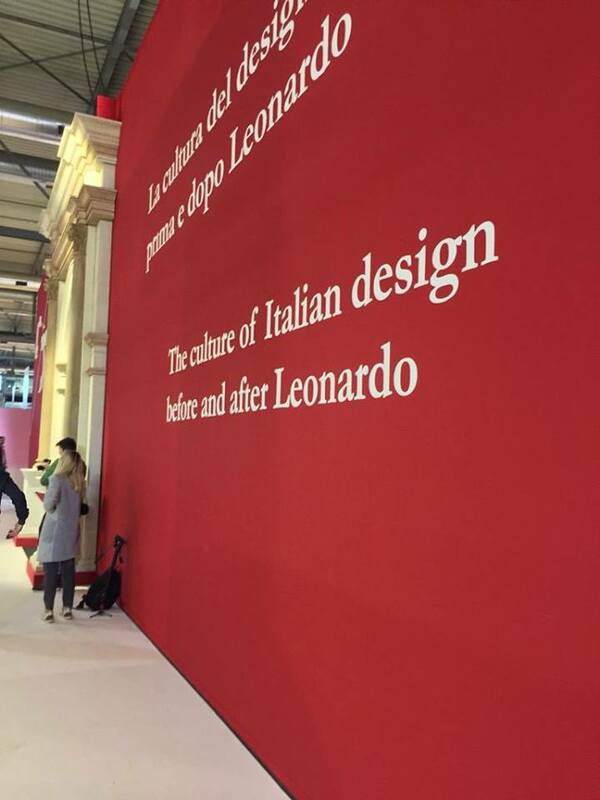 This year the Milan fair is split into three style categories: Classic: Tradition in the Future, Design, and xLux. Classic - which draws on the values of tradition, craftsmanship and skill in the art of making furniture and objects in the classic style; Design - products that speak of functionality, innovation and boast a great sense of style and xLux - the section devoted to timeless luxury re-read in a contemporary key. Euroluce: the biennial design fair also known as the International Lighting Exhibition is back this year. Since 2011, the fair has presented the most innovative solutions in the field of light for interiors and exteriors. 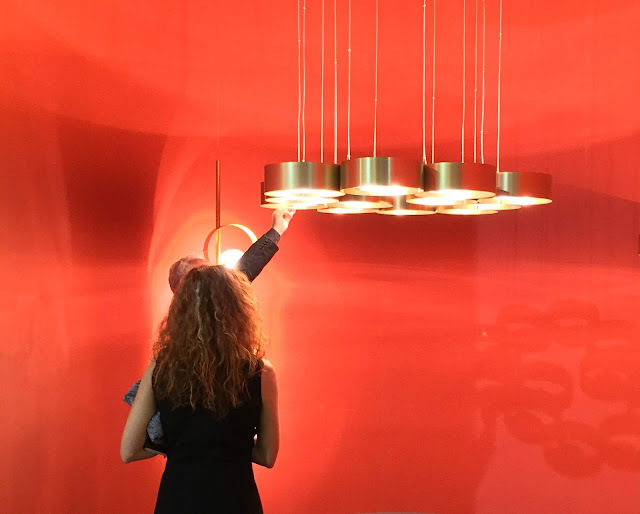 With more than 480 of the best exhibitors in the sector, from around the world, the International Lighting Exhibition – at its 30th edition – is recognized as the global benchmark lighting exhibition, where technological innovation and design culture take centre stage. Workplace3.0: this year the biennial workspace exhibition is back with 52 exhibitors who will showcase their mission to promote experimentation in design. This new exhibition format is a genuine reflection of the social transformation of the workspace into a flexible, permeable and dynamic area, ripe for professional interaction and engagement with other day-to-day activities. Workplace3.0 will provide a 360° overview of the design of new working environments: stimulating, varied and creative areas that put the amalgamation of office, home interiors and public space into practice. The theme this year will be liquid space, privacy, smart office, work-centered design. SaloneSatellite: Since 1998, this event has been the premier destination for young designers under 35 years and a place for manufacturers to scout the best up-and-coming talent. More than 550 exhibitors will have their work on view across Pavilions 22 to 24. This year the theme is FOOD as a DESIGN OBJECT. The event highlights the relationship between design and the culinary arts challenging the youngsters to find solutions to issues that can bring about a global food revolution. The International Furnishing Accessories Exhibition will exhibit furnishing accessories, decorative accents, and textiles. 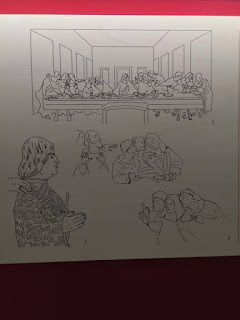 To mark the 500th death anniversary celebration of Leonardo da Vinci, the Salone del Mobile.Milano presents two installations “AQUA” and “DE-SIGNO”. 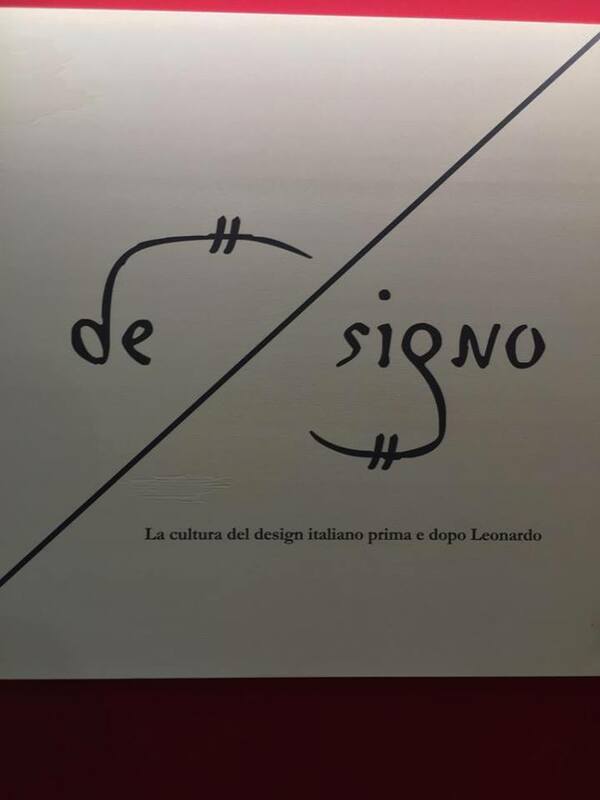 “AQUA” will celebrate the originality and visionary depth of the artist’s scientific studies while “DE-SIGNO” presents the experience of Italian design and craftsmanship, from the time of the great Master to the present day. This is an immersive installation created by Davide Rampello and designed by the architect Alessandro Colombo—explores how the genius’s ideas link to contemporary Italian design. This year Salone has introduced a new word into its Manifesto, the word 'ingenuity'. It means intelligence as the trigger of creativity, the meaning of talent, and the ingenious ability to create and think. 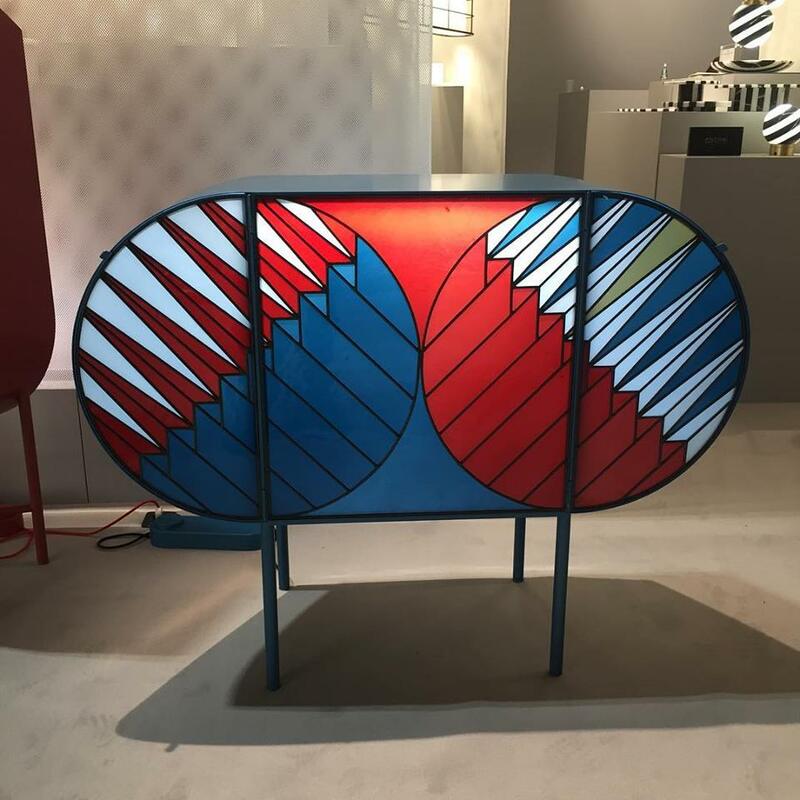 S.Project will be making its debut as part of the Salone del Mobile.Milano, in a new crosscutting exhibition format dedicated to design products and to decorative and technical interior design solutions. In complete synergy with all the other events, S.Project will collect and promote solutions from companies with a view to delivering a 360-degree overview of interior architecture and responding to the latest market demands. 66 participants will be ranged over 14,000 square meters in Pavilions 22-24. For LIVE coverage of the event, follow us on Instagram as we unveil the hottest new trends and launches straight from Milan, from April 9th to 14th. Follow #DesignSoGood and get all the latest interior design trends you need. 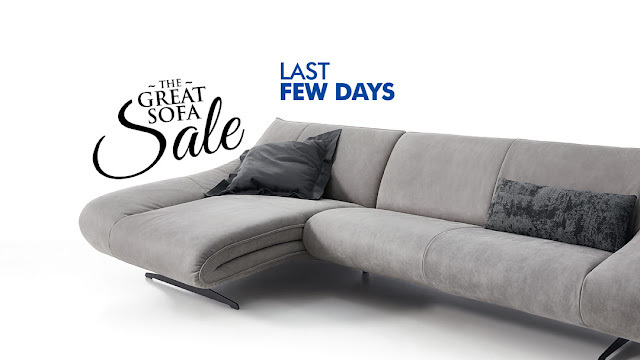 Here's your last chance to own the sofa of your dreams. The Great Sofa Sale. Up to 35% OFF for last few days. The offer is valid on living, dining, bedroom and home theatre seating. Our collection comprises of some of Europe’s best furniture brands - from Italy, Germany, Spain, Norway and The Netherlands. Some of our designs are winner of the Red Dot Design Award, Interior Innovation Award, Good Industrial Design, Design Prize Switzerland and Chicago Athenaeum Award. 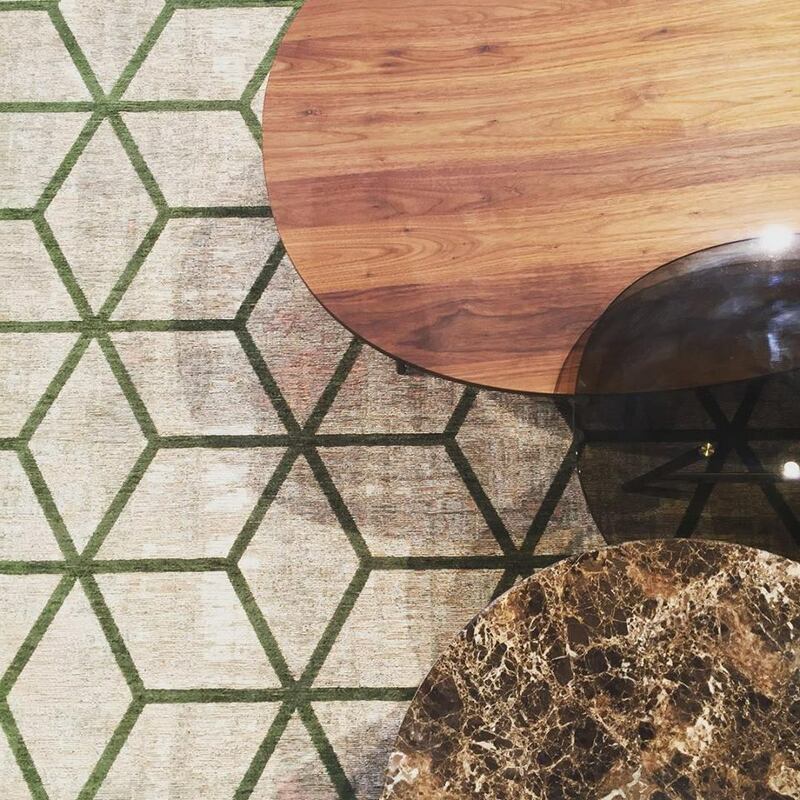 The collection is marked by original work from some of the world’s finest furniture designers and architects. Crafted by some of the most innovative designers from brands where cutting-edge technology and craftsmanship came together to deliver products that are comfortable, functionally flawless and are built to last the rigours of daily life for years to come. All the products are put through the most stringent tests that exist in the industry - over 400 quality checks and 30,000 cycles of impact testing for sofas. Utmost care is taken in choosing the best quality leather/fabrics that complies with the most demanding international standards. 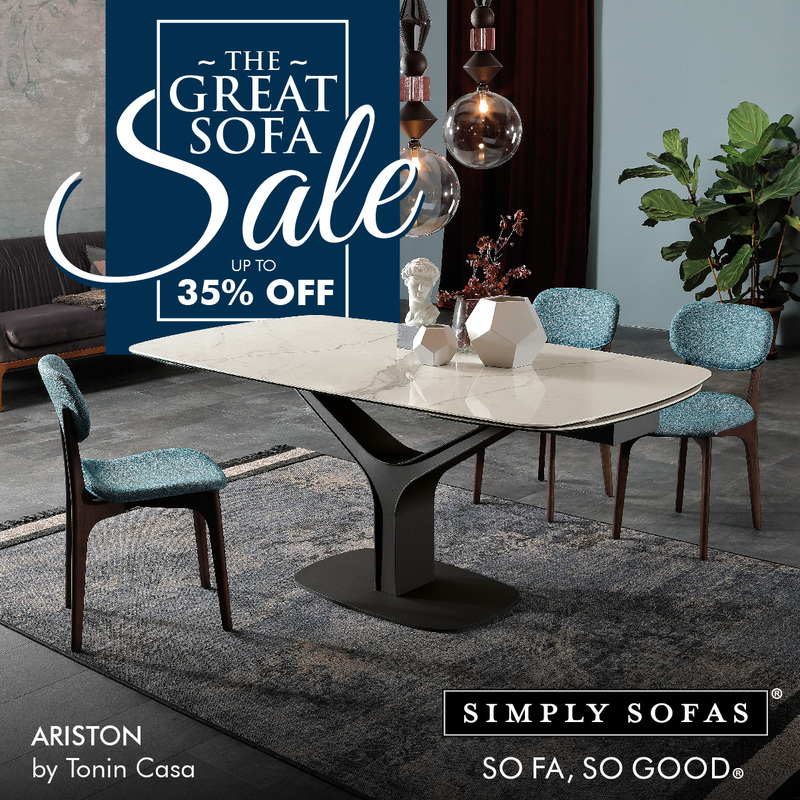 So, don't miss the chance of getting the world’s best from Europe at 35% off. Visit a Simply Sofas store near you today. Offer valid for last few days. It isn't often that you get the world’s best for a special price. 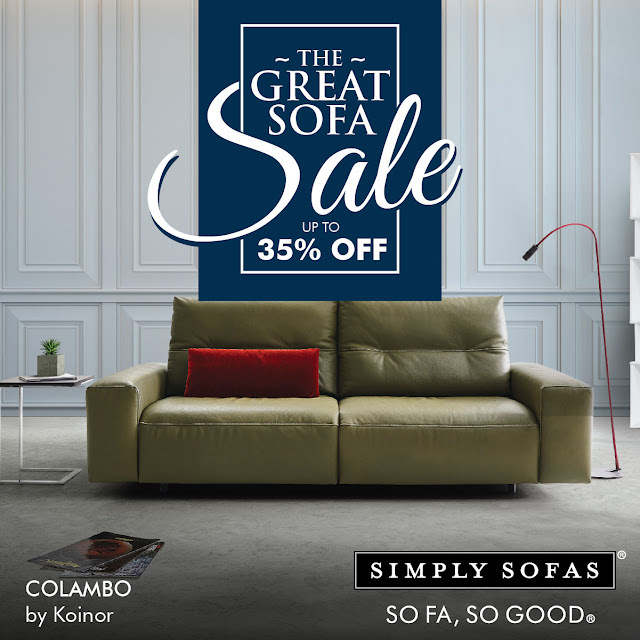 Simply Sofas gives you one chance to own the sofa of your dreams. Well, not only sofas, but dining tables, chairs, beds, recliners, home theatre and accessories. 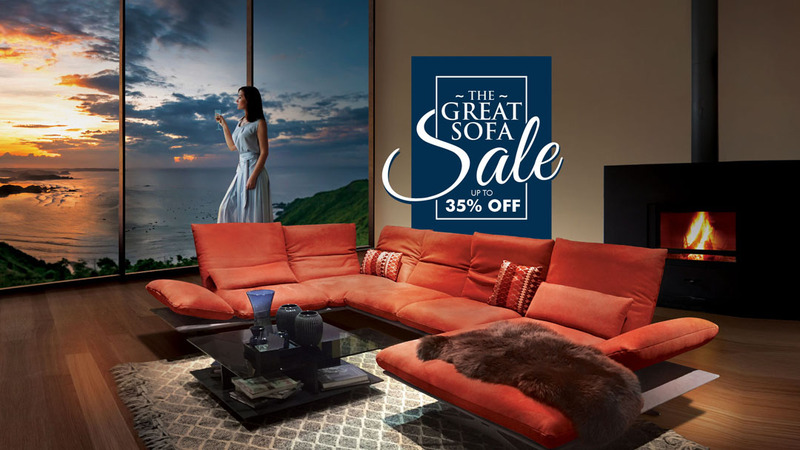 The Great Sofa Sale is here. Up to 35% OFF for a limited time. We offer the largest European collection of the latest in Living, Dining, Bedroom and Home Theatre seating. 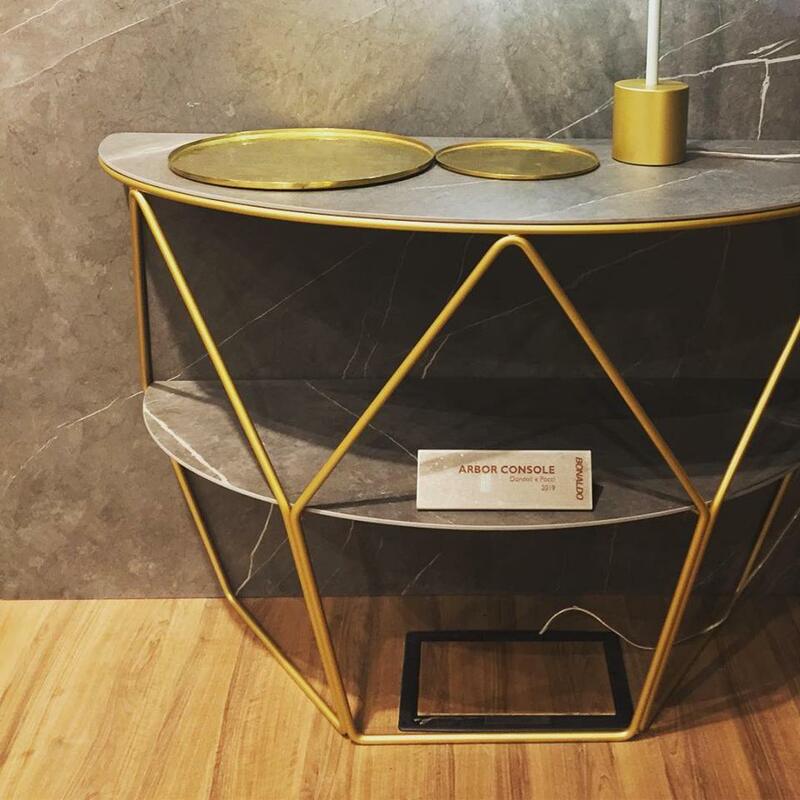 The new and trendsetting products are seen in our showrooms as soon as they are made available to the world markets. Our collection comprises of some of Europe’s best furniture brands - from Italy, Germany, Spain, Norway and The Netherlands. The furniture goes through the industry’s most stringent tests. Sofas face over 400 quality checks and 30,000 impact cycles. Patented shape retaining foam, anti-sag springs, high resilience webbing, goose feathers and warp-proof European solid woods mean that these designs surpass the highest industry standards. All this only proves that every product is of the highest quality. 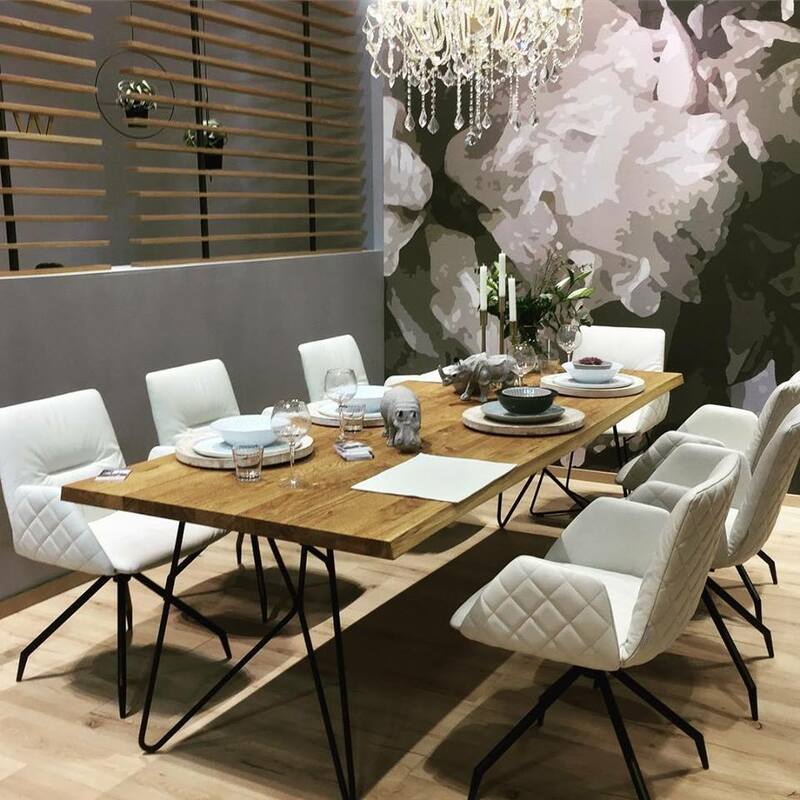 Dining tables are made with patented systems and new, innovative materials - making them tougher and lighter. 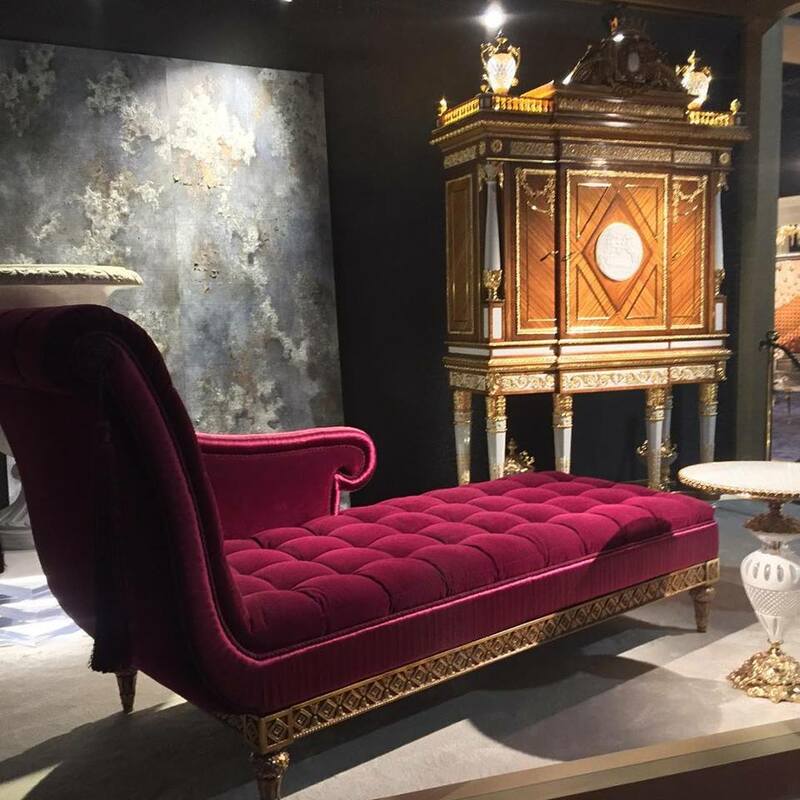 The collection is marked by original work from some of the world’s finest furniture designers and architects. 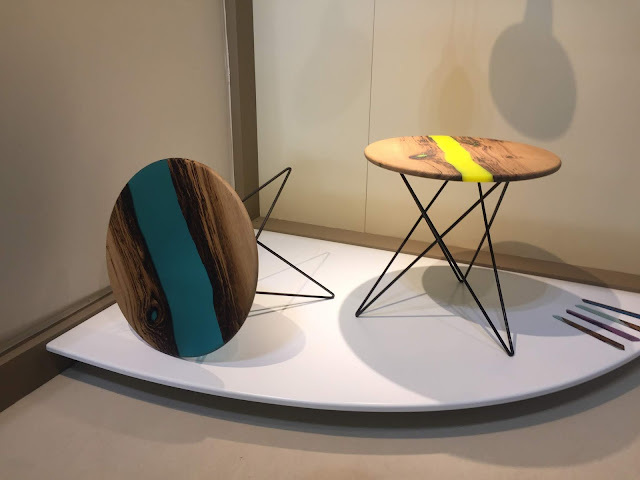 Many designs in the collection have earned prestigious awards such as - the Red Dot Design Award, Interior Innovation Award, Good Industrial Design, Design Prize Switzerland and Chicago Athenaeum Award. At any given time, there are over one hundred designs and numerous custom-options for size and colour. 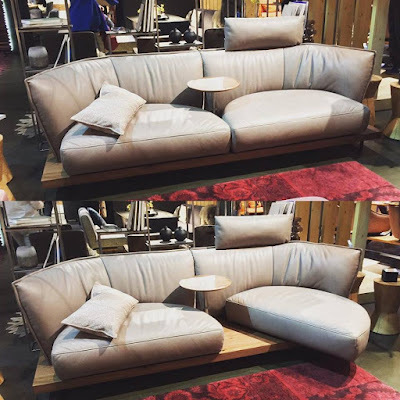 One can choose either genuine leather or fabric upholstery. The range offers 425 shades of genuine leather, and 322 different tones of fabrics. The core range is the large collection of sofas and chairs, which comprises motion sofas, reclining sofas, sectionals, seating ensembles, lounge chairs and others. 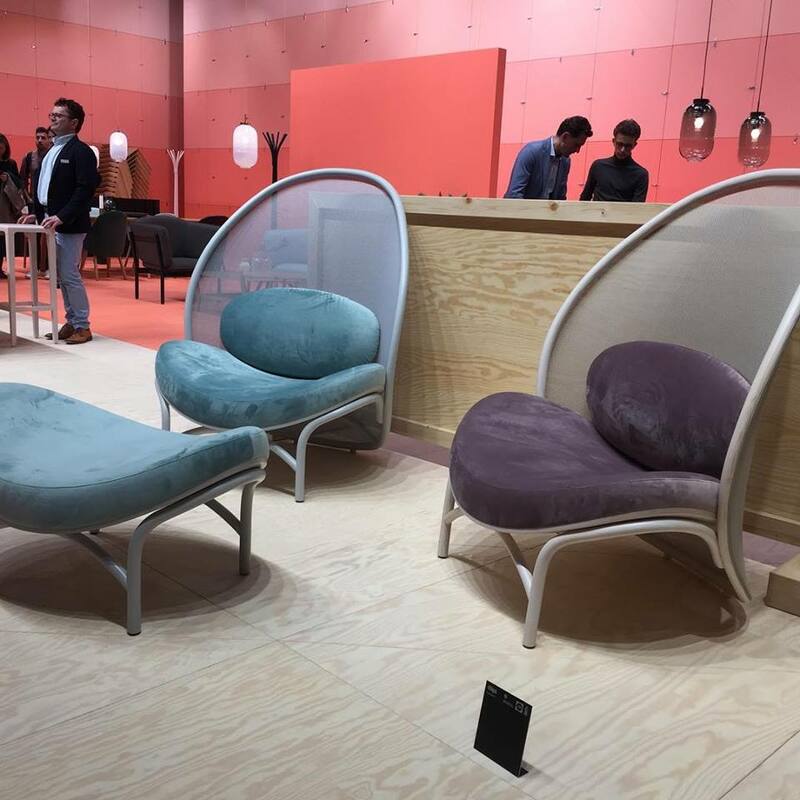 This year’s special selection are motion furniture controlled by phone apps and one-touch sensors. Some models have built-in speakers that connect via Bluetooth. 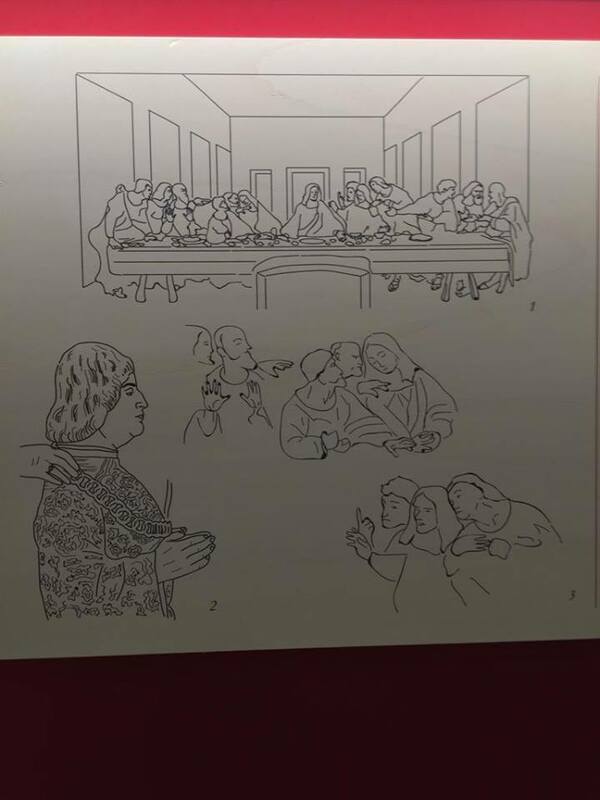 The dining collection is also large. Dining Room Ensembles include dining tables and chairs, sideboards, storage cabinets and bar units. 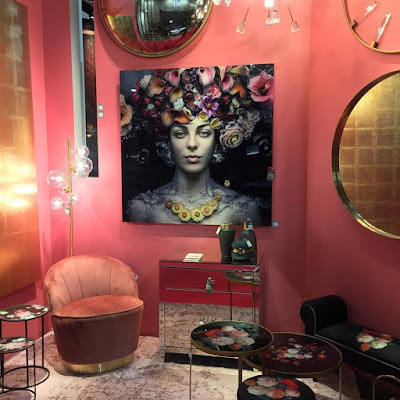 There are accessories like carpets, lamps, mirrors and crystal-ware. The collection offers options in wood, glass, steel, and ceramics. The incomparable ceramic tables are scratch, heat and stain resistant. They come in various finishes - marble, stone and others. 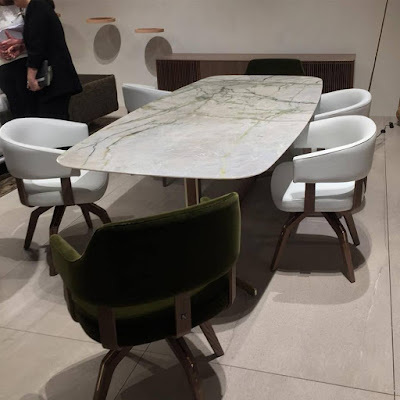 Dining tables come in various forms - circular, rectangular and extensible. Extensible dining tables have special mechanisms to make them longer or shorter. 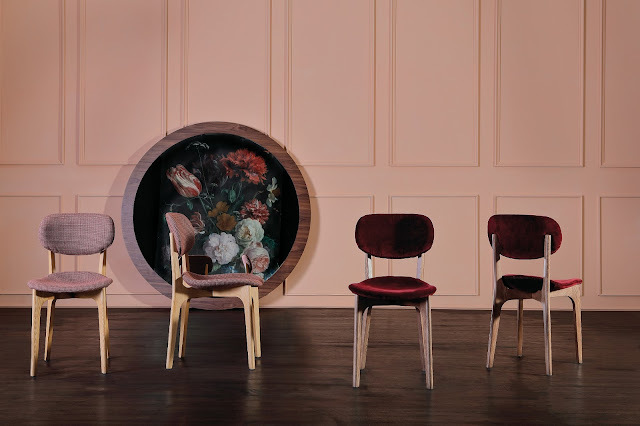 The range of dining chairs is truly extraordinary, with upholstered, wood and polyurethane being the most popular. The focus is service throughout the process of choosing the perfect style to on time delivery. The store delivers furniture anywhere in India and other countries. All products come with warranties. 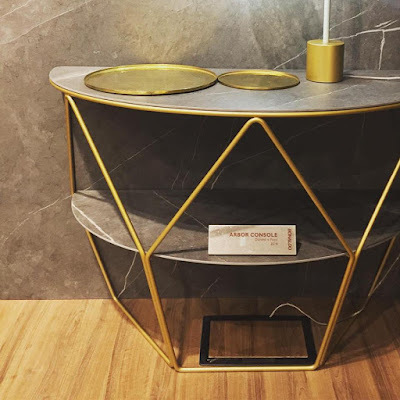 The store also provides professional support to architects and interior designers, addressing their unique needs across projects. All with one aim - to provide the best to the homeowner. So, don't miss the chance of getting the world’s best from Europe at 35% off. 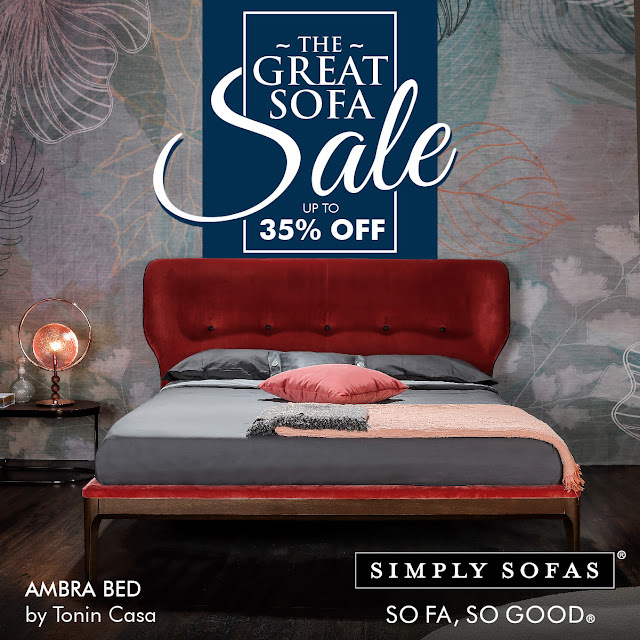 Visit a Simply Sofas store near you today. Offer valid for a limited period. A touch so soft, so silky, so warm, Velvet is what makes us all happy at the very sight and feel of it. 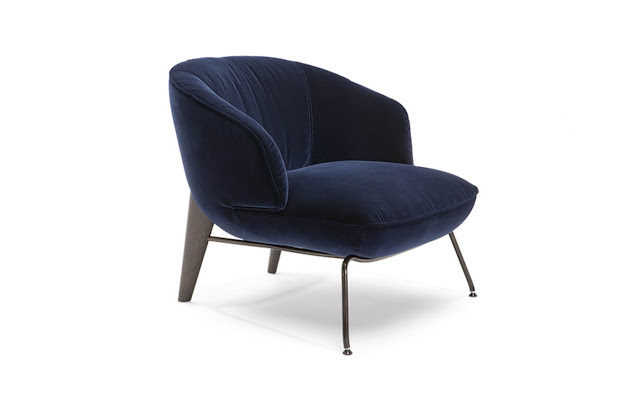 Here are 8 velvet sofas and chairs you'll love. Designed by Michele Menescardi, Icon by Natuzzi is inspired by the 80s and 90s. This modular sofa is upholstered in innovative, water repellent Climalight padding, over a wooden structure and a gilded metal base. Its soft, voluminous design and rounded appearance evoke the visual comfort. Available in a wide choices of colours. 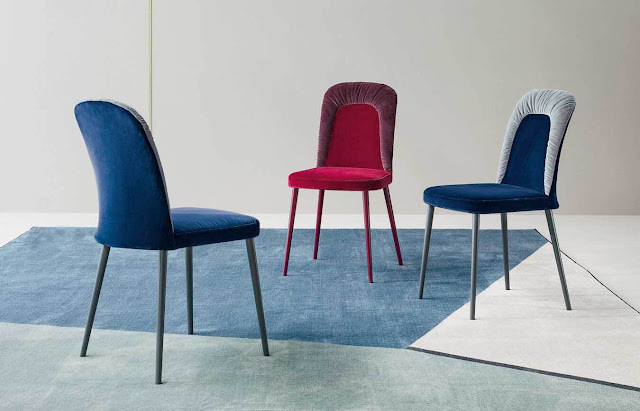 Inspired by 19th century luxury hotel and home interiors, Edward van Vliet designed Jill for Leolux in a particular manner that combines a touch of nostalgia with contemporary comfort, charming curves, and elegant details. 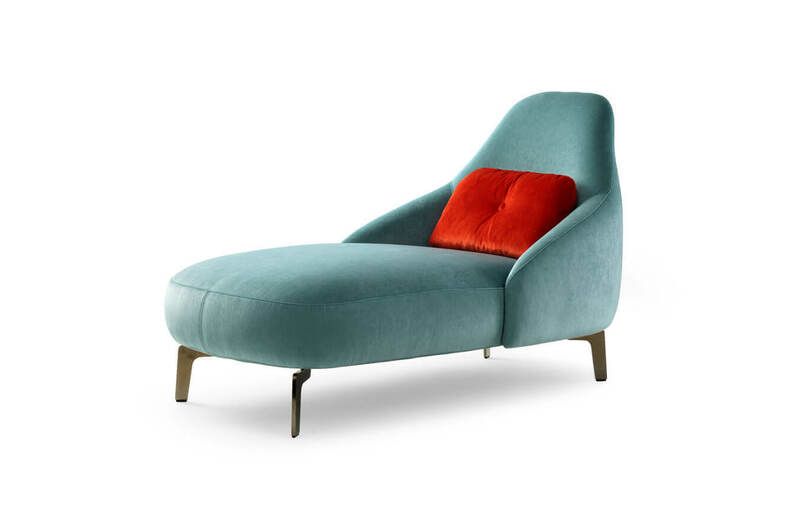 This armchair and chaise longue with outswept metal legs makes it more appealing. Available in a wide choice of colours and upholsteries. 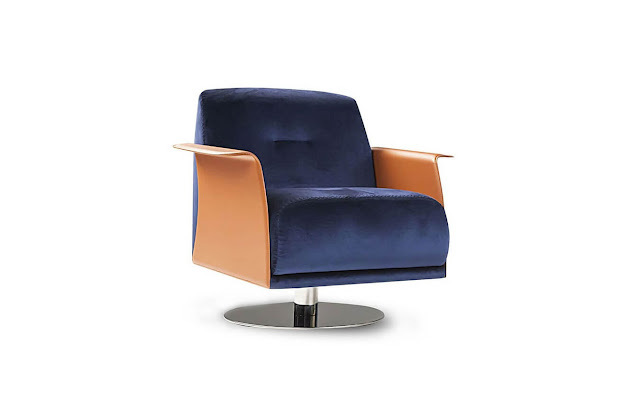 Outwardly curved, leather-clad metal armrests, velvet upholstery on deep cushions and a returning swivel base make up the wonderful Cristine by NicolettiHome. 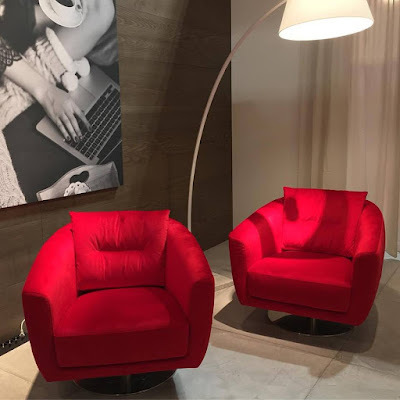 A universal, highly versatile armchair designed by Mauro Lipparini. A sculptural, comforting design featuring restrained proportions with hints of strong personality. 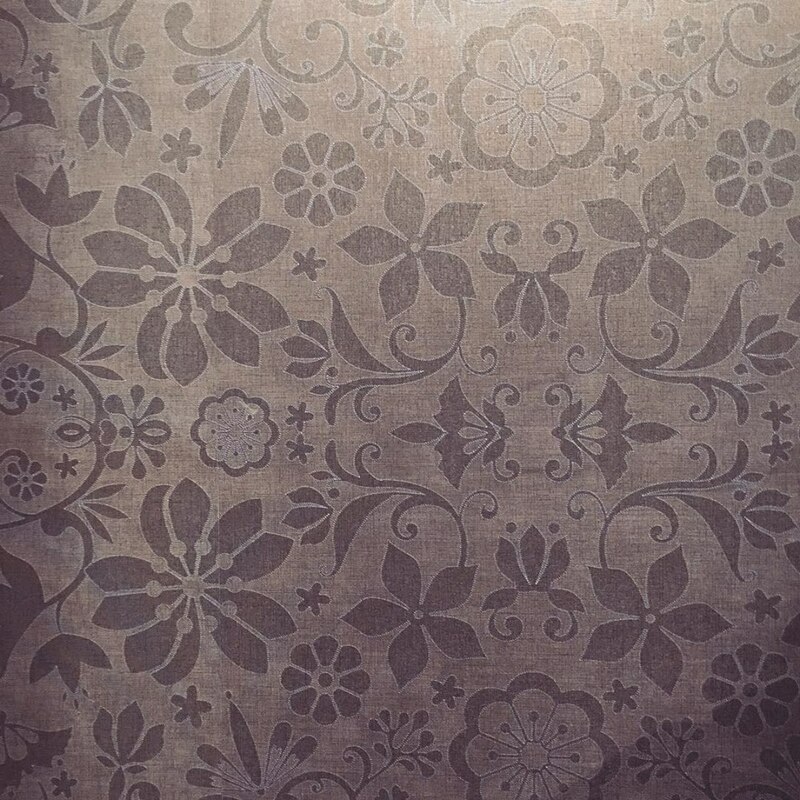 Available in fabric or leather in a wide range of colours. 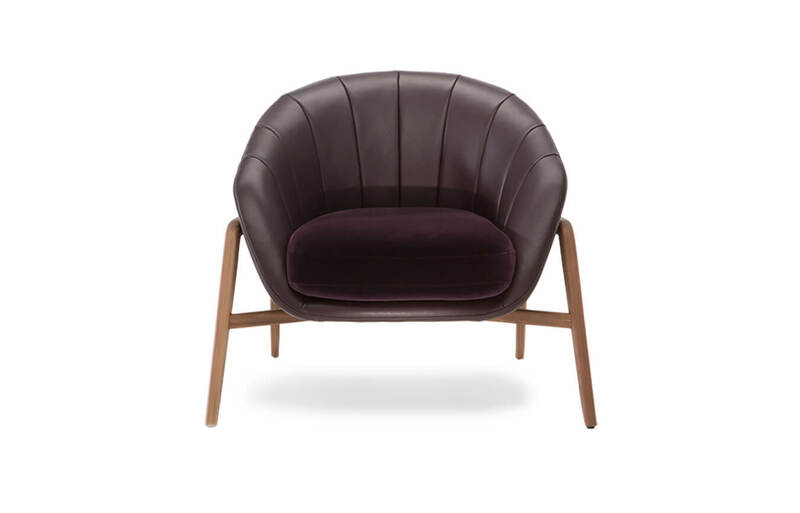 The Margaret padded lounge chair with a visible wing-like wooden frame, in leather or fabric, including velvet; also comes as a classic rocking chair. Designed by Mauro Lipparini. Cassia’s design is characterized by vertical lines combined with enveloping curves. 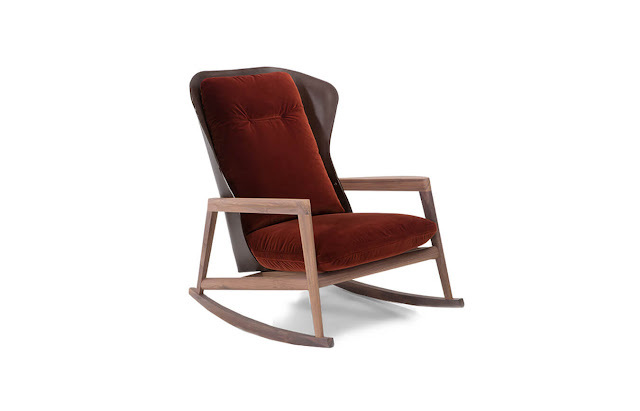 The chair features pulled out armrests in wood, a wingtip headrest and plush cushioned seating. Designed by Mauro Lipparini. Available in fabric or leather in a wide range of colours. 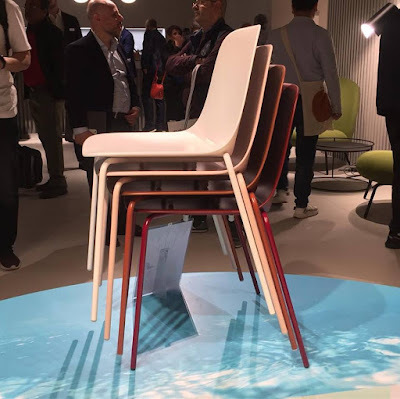 Designed by Angelo Tomaiuolo, Bikini wood chair is available in natural wooden body options like light or dark, canaletto walnut. The upholstery is available in a wide range of colours and materials.